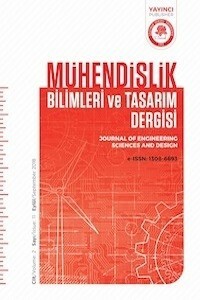 Journal of Engineering Sciences and Design (JESD) is an international indexed scientific research journal with referees founded in 2010 hosted by Suleyman Demirel University, Engineering Faculty. JESD has been published in the areas of engineering sciences and design three times in a year including in April, August and December. From 2018, JESD will be published in quarterly, March, June, September and December. Articles submitted to the journal for publication are evaluated by referees, editorial board and editor. Names of referees evaluating the articles aren’t informed to the authors (Blind peer review). The full-length original research articles, case studies and review articles written in Turkish or English language are published. The submissions are assigned to a DOI number and the JESD does not charge any publication or processing fee. The Journal of Engineering Sciences and Design (e-ISSN: 1308-6693) provides editorial support on the following subjects in the ULAKBİM-TR INDEX. Before a new submission process, please check the Author Guidelines... and get an ORCID-Researcher ID from http://orcid.org with a free account. JESD is indexed by the following abstracting and indexing databases.